The monsoon season has arrived and so has the spirit of sports along with this year’s Football World Cup. As contrast as it may seem, rains bring out the urge in us to play sports in open grounds. In fact, sports are most enjoyed in the rains. 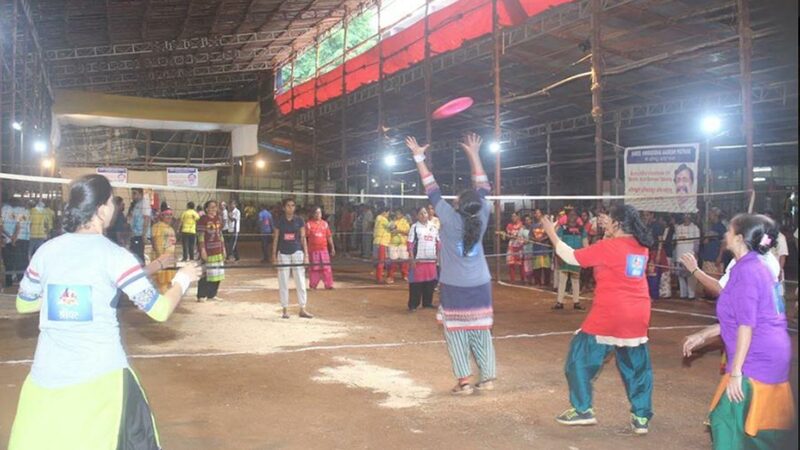 Our mentor, Sadguru Shri Aniruddha Bapu has stressed upon the importance of playing sports. He emphasizes that it is important to play sports for maintaining good health. He has thus, introduced the concept of Bonsai sports. Just like a Bonsai plant is a small or reduced version of a large tree, we have the bonsai version of sports. The Bonsai sports activity is carried out by ‘The Aniruddha’s Institute of Bonsai Sports’ on weekends (Sunday) at various Upasana Centres. Bapu says “Family that prays together stays together” and also a “family that plays together stays together”. In times like these, when it has become an utmost necessity for any person in our society to be physically fit, Bapu has also introduced various opportunities which we can avail to achieve fitness. Bonsai Sports, ‘Ancient Indian Martial Arts (Prachin Bal Vidya), training in Disaster Management are various avenues that he has opened. Games such as French Cricket, Squash, Hollow Squash, Ping-Pong are developed for Bonsai Sports. 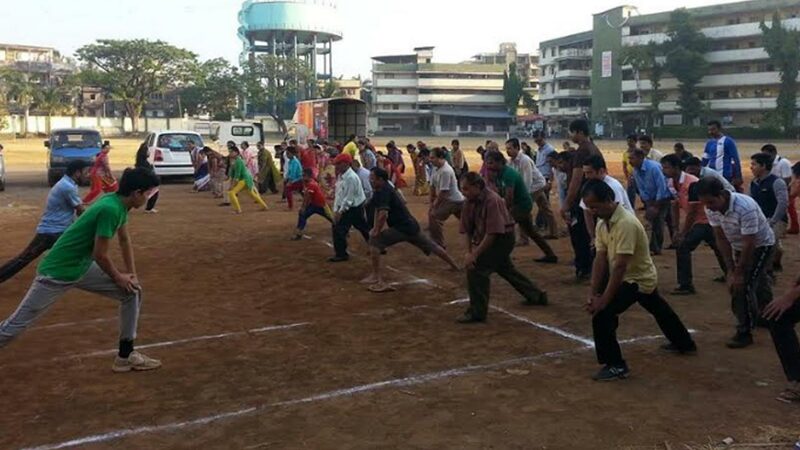 Matches of games like Kho-Kho, Kabaddi, Cricket, etc. are arranged at different centres. 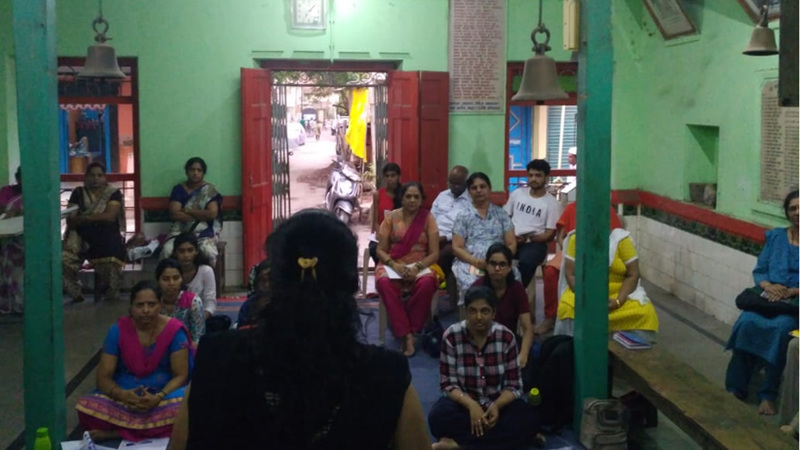 Recently, on 1st of July, the institute held a day-long event at Shree Harigurugram in Bandra, which included a total of 160 Shraddhavan friends from the Western Zone participating in it. It became a fun-filled get-together for Shraddhavans of all the age group from the Western Zone who enjoyed various sports to the content of their hearts. Much before Bonsai Sports, Bapu had introduced and taught ‘Ancient Indian Martial Arts (Prachin Bal Vidya) in which he has mentioned about the true origins of the Martial Arts and taught effective techniques of maintaining fitness and also self-defense. On practising those techniques for years and contemplating on each concept and experimenting with those techniques, Bapu then selected and trained Shraddhavans in Bal Vidya and ensured that their skills blossomed. As a doctor, Bapu, in his early years, spent his time in the gym to exercise and to conduct extensive research on the human anatomy. His expertise in sports and sports medicine was such that many gymnastic, mallakhamb and sports experts would consult him. Apart from Bonsai Sports, ‘Ancient Indian Martial Arts (Prachin Bal Vidya), Bapu has also made a course in Disaster Management available to all. The curriculum includes basic training in first-aid, CPCR, lifting methods, etc. Moreover, the voluntary practice sessions after the course do involve light exercises intended to keep the ‘Disaster Management Volunteers’ fit. But even with all this Bapu insists the simplest and most useful exercise is walking. He himself walks and urges his friends for the same. With all these projects and thoughts, Bapu is indeed making the saying ‘Health is the divine wealth’ achievable for all. 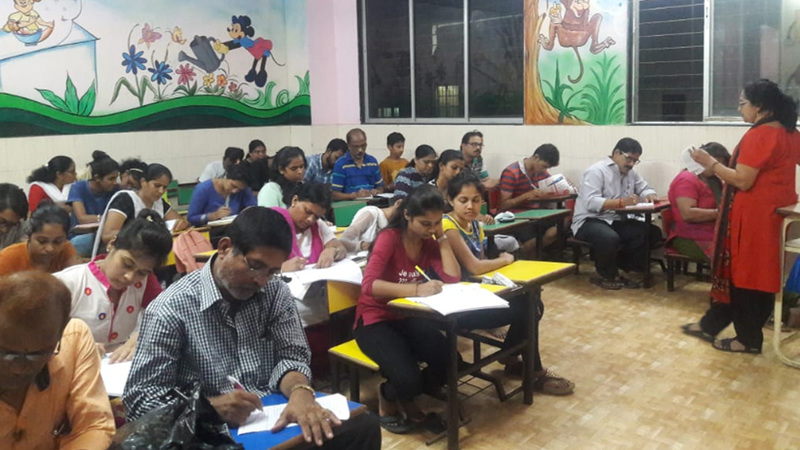 ● 20 Shraddhavans attended the course conducted by Jogeshwari East Upasana Kendra at Aniruddha Classes, Harinandan Yadav Chawl, Shivtekdi, Near Shivkrupa School, Jogeshwari East, Mumbai during the period from 04.06.2018 to 10.06.2018. 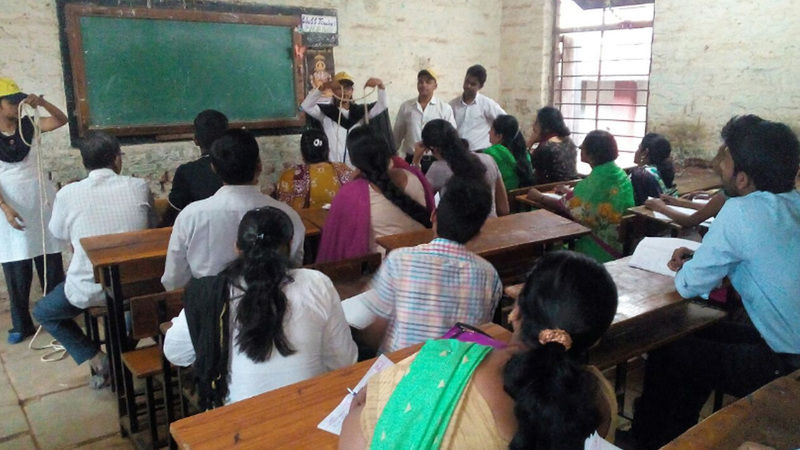 ● 18 Shraddhavans attended the course conducted by Nallasopara East Upasana Kendra at Kanchan High School & Jr. College, Datta Nagar, Virar Road, Tulinj, Nalasopara East during the period from 04.06.2018 to 10.06.2018. ● 14 Shraddhavans attended the course conducted by Kalina Upasana Kendra at Nariyalwadi Municipal School, Gamdevi Road, Vakola Pipe Line, Santacruz East, Mumbai during the period from 04.06.2018 to 10.06.2018. 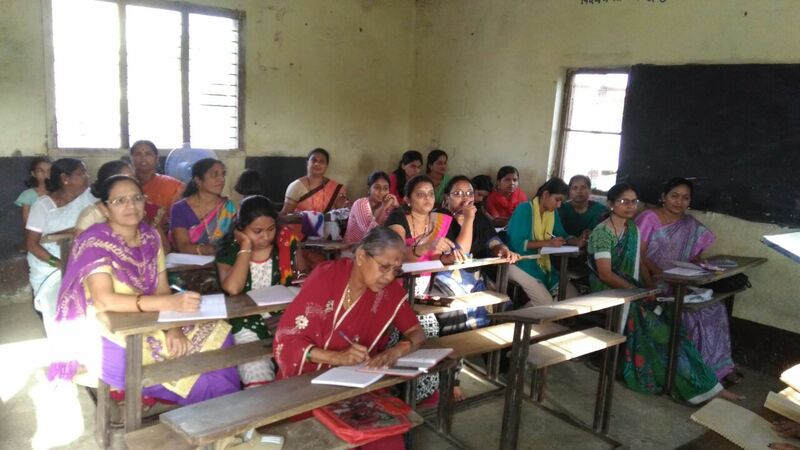 ● 22 Shraddhavans attended the AADM Basic Course conducted by Mill Parisar Upasana Kendra, Dhule at Shantabai S. Ahire Madhyamik Vidyalaya, Dhule during the period from 04.06.2018 to 10.06.2018. 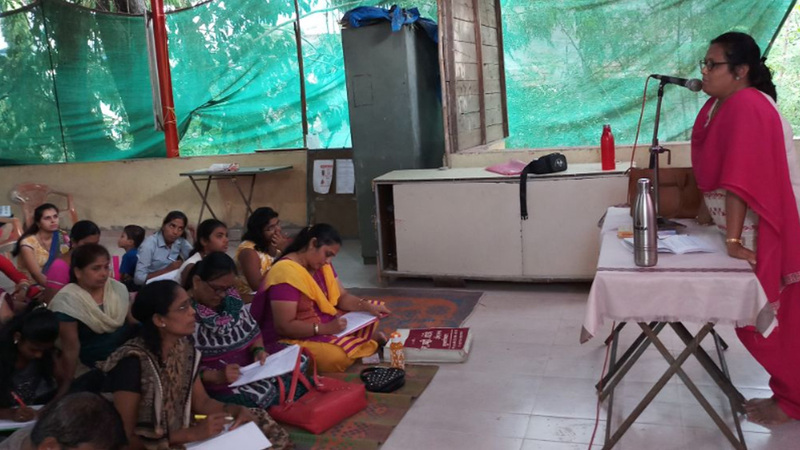 ● 30 Shraddhavans attended the course conducted by Upasana Kendras from Thane at Bal Vidya Mandir Madhyamik Vidyalaya, Near Kisan Nagar Bus Stop, Kisan Nagar No. 2, Wagle Estate, Thane West during the period from 11.06.2018 to 17.06.2018. ● 22 Shraddhavans attended the course conducted by Vasai Gaon Upasana Kendra at Laxmi Narayan Mandir, Bhandar Ali, Vasai Gaon during the period from 11.06.2018 to 17.06.2018. ● 32 Shraddhavan Bhaktas attended the course conducted by Gorai Upasana Kendra at St. Rocks School, Swami Samarth Road, Near Vitthal Mandir, Gorai – 2, Borivali West, Mumbai during the period from 11.06.2018 to 17.06.2018. 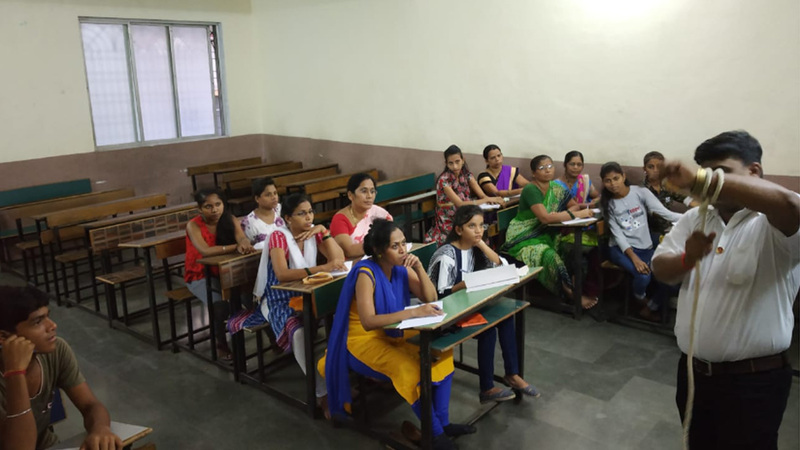 ● 24 Shraddhavans attended the course conducted by Shivane Upasana Kendra, Pune at Navbharat High School, Shivane, Pune during the period from 11.06.2018 to 17.06.2018. ● 17 Shraddhavans attended the course conducted at AADM Office, Dadar during the period from 18.06.2018 to 24.06.2018. ● 24 Shraddhavans attended the course conducted by Chinchpada Upasana Kendra, Pen, Raigad at Chinchpada Upasana Kendra, Rotary Garden, Chinchpada, Pen, Raigad during the period from 18.06.2018 to 24.06.2018. ● 18 Shraddhavans attended the course conducted by Bhosari Upasana Kendra, Pune at Shivyogi Building, Bhagat Vasti, Near Patil Nursing Home, Indrayani Nagar, Bhosari, Pune during the period from 18.06.2018 to 24.06.2018. 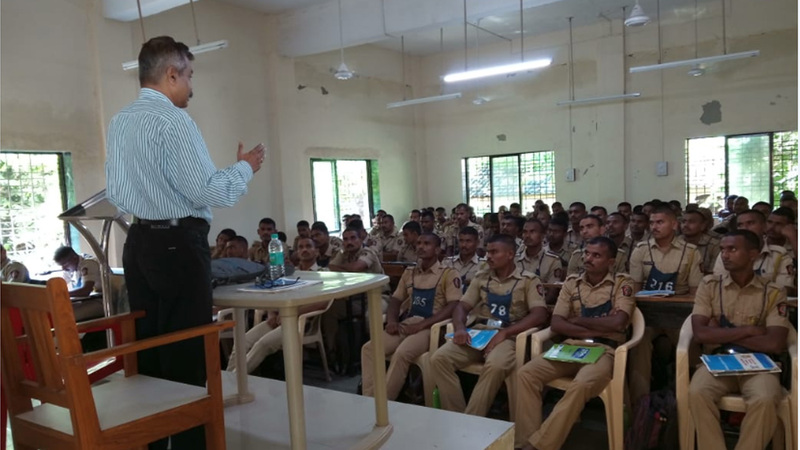 On the request from Police Training Centre, Marol, one-day Corporate Course on Introduction to Disasters and Disaster Management, First Aid Methods, Rescue Methods and Fire Fighting Methods was conducted on Saturday, 30th June 2018 for Police Trainee Candidates at Marol Police Training Center, Marol. 7 Classes were conducted and a total of 629 Police Trainee Candidates attended the course. AADM Rescue refresher course was conducted at Shree Saidham Mandir, D.B.Marg, Lamington Road, Opp. Imperial Cinema, Mumbai on Sunday 24th June 2018 from 10.00am to 1.00pm. 56 DMVs from Colaba, Girgaon, Nana Chowk, Mazgaon, Saatrasta and Kalachowky Upasana Kendra participated in this refresher course.